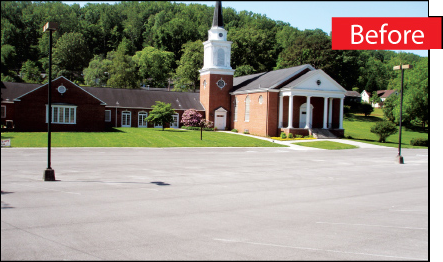 JGI is your One-Stop for Seal Coating, Striping and Asphalt Repairs. Sealing is an excellent preventative maintenance process for your parking lot. 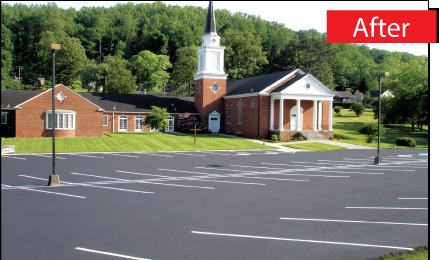 JGI will protect and beautify your property using Brewer Cote coal-tar sealer. The slate black finish of the sealer increases the curb appeal of your business while protecting your investment from water, ultraviolet light and oil leakage from cars. JGI is capable of repairing any type of asphalt including potholes, subsurface water damage, sinkholes and heavy traffic wear. When necessary, JGI is fully capable of extensive excavations and overlayments. sealcoating is a recommended procedure to achieve a smooth long lasting surface.